Bernie and Will talk about the upcoming series in Milwaukee on this week's edition of Seeing Red. But first, they react to Marcell Ozuna's big day at the plate yesterday in Mexico. Will talks about his obsession with Josh Hader, as well as some qualms he has with the new television cameras at Busch Stadium. Plus, the guys talk about Paul Goldschmidt's high strikeout count in the early going this season. Should this be a cause for concern? Bernie and Will talk about the recent uptick for the Cardinals on this week's edition of Seeing Red. With the Cardinals riding a three-game win-streak, the guys have a good laugh about Marcell Ozuna's, uh, effort in the outfield on Tuesday night. Plus, they discuss the clamoring among Cardinals fans for Tyler O'Neill to get more at-bats, as well as a conversation about the "honeymoon phase" with Mike Shildt. The Cardinals dropped their first series of the season in Milwaukee over the weekend, and followed that up with a wild 11-inning affair in Pittsburgh. Time to panic? Will and Bernie give their early reactions to the 2019 season. They talk about the struggles of Marcell Ozuna, Adam Wainwright's shaky debut, and more during this weeks chat on all things St. Louis Cardinals. 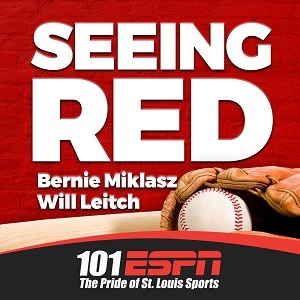 On this week's edition of Seeing Red, Bernie and Will talk about the 5-year extension for Paul Goldschmidt, and what it means for the future construction of the Cardinals' roster. Plus, with Opening Day only days away, they guys preview the 2019 Cardinals season, and give their NL Central predictions. Bernie and Will talk about the rule changes the MLB is testing out in the Atlantic League, the Cardinals lack of offense in recent weeks in Grapefruit League action, and why there shouldn't be a competition between Yairo Munoz and Drew Robinson.  Plus, the guys talk about Dylan Carlson for this week's listener question. On this week's edition of Seeing Red, Will joins us from Jupiter, FL! He witnessed Jack Flaherty pitch in person on Monday; and speaking of Flaherty, Will and Bernie discuss why he has every right to be upset with the Cardinals. We also take a look at the early season schedule for the Cardinals, and talk about why it may be a challenge. Plus, Bernie and Will talk about what the starting rotation might look like this season. Ep. 39 - Harper Finally Signs: 13 years, $330 million. Bryce Harper's free agency loomed large over the entire MLB offseason, and late last week it became official that Harper would be heading to Philadelphia on a 13-year, $330 million deal. Bernie and Will talk about this deal, and wonder how it will effect the free agency of Paul Goldschmidt. Plus, Bernie and Will talk about the signing of Matt Wieters and his viability as a back-up catcher this season. Ep. 38 - Seeing Red: Season 2 Is Here! Will Leitch and Bernie Miklasz are back to their weekly editions of "Seeing Red," so we're calling this episode one of season two (for those binge-listening). The guys react to the news from last week on Carlos Martinez. They talk about what the contract extension of Jose Martinez means for him long-term. Plus, Bernie and Will react to this listener submission: "Name a player that you think could be traded this season that would surprise most fans, but not you." We're one day away from pitchers and catchers reporting to Spring Training, so Bernie and Will discuss the five players they have their eyes on as we forge ahead into baseball's training period. We talk about Harrison Bader, Marcell Ozuna and more. Plus, your questions. Ep. 36 - Hello 2019! Bernie and Will reconvene for their first Seeing Red of 2019! The guys give their thoughts on the Andrew Miller signing, wonder why the Cardinals haven't dominated the offseason the way they are fully capable of, and have an interesting conversation about fans' gripes with Cardinals media's coverage of the team. Ep. 35 - Paul Goldschmidt has arrived. Now what? The St. Louis Cardinals have acquired All-Star first baseman Paul Goldschmidt from the Arizona Diamondbacks in exchange for right-handed pitcher Luke Weaver, catcher Carson Kelly and infielder Andy Young. Bernie and Will took the weekend to digest this news, and they talk about what's next for the Cardinals this offseason.